Washington, DC On the 9th of November, Michele Cassalia joined one of the biggest annual Trane’s event, the 2017 Trane Comfort Specialist Conference (TCS) in Washington DC. The Trade Comfort Specialist Trade Expo is a great opportunity for all Trane’s partners to interact with dealers selling their products and to showcase their offering. This year the conference had about 1000 attendees representing 450 Trane Comfort Specialist dealers from across the country. Dealers that are selling the asthma & allergy friendly® certified Trane CleanEffects™ whole home air cleaner were really keen to learn more in depth about the Certification Program. As explained by Michele who attended the event, dealers are eager to learn more about the asthma and allergy issue as it is a growing market opportunity and consumers are showing a rising interest products certified by our program. “It was amazing to have the opportunity to exchange with the different Trane’s dealers who are in contact with customers on a daily basis and their feedback was extremely positive” said Michele Cassalia, Director of the Certification Program. “They were excited to explain how customers who invested in the Trane CleanEffects™ whole home air cleaner asthma and allergy friendly were delighted with the product as it changed their life regarding asthma and allergies.” As dealers receive such a positive feedback from their customers, they are really keen to recommend the Trane CleanEffects™ air cleaners to their new customers. 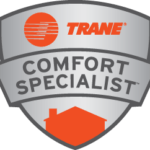 2017 TRANE COMFORT SPECIALIST CONFERENCE WEBSITE This year we are having our largest Conference with 1000 attendees representing 450 TCS™ dealers from across the country. INGERSOLL RAND – TRANE As a world leader in air conditioning systems, services and solutions, we control the comfort of the air for people in homes and many of the world’s largest and most famous commercial, industrial and institutional buildings. asthma & allergy friendly®® Whole Home Air Cleaners Option” width=”150″ height=”150″ /> NEW STANDARD FOR WHOLE HOME AIR CLEANERS We are announcing the development of a new certification standard for Whole Home Air Cleaners, also known as In-Duct Air Cleaners. 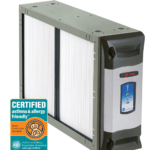 asthma & allergy friendly®® Whole Home Air Cleaners Option” width=”150″ height=”150″ /> AIR CLEANER FROM INGERSOLL RAND PASSES CERTIFICATION STANDARD ASL today announced that the Trane CleanEffects™ whole home air cleaner has passed the relevant Certification Standard.